The Psychology of Performance and Happiness - Performance Psychology for Leaders. Leadership Coaching. Executive Coaching. 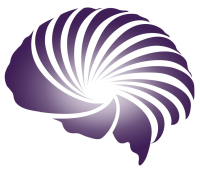 Performance Psychology Consulting. What could you achieve if you understood the psychology of performance and happiness? Could you be happier? Yes. Could you achieve more, with less effort? Yes. Most are not. Many are on antidepressants. Many self-medicate with alcohol or (in some cases and) drugs. Yet happiness and fulfillment are amazingly close. Just a few thoughts, a few insights away. The insights that make the difference between a life of happiness and the unthinkable alternative can be learned in one to two hours. Nothing, other than a commitment. When you have the resource you will understand how important this commitment is, and why you are being asked to make it. Yes, your instinct is right, we ARE trying to make the world a better place. Here is the commitment you are being asked to undertake. If you agree to the commitment, all you need to do to be sent the resource that contains the psychology of performance and happiness is to subscribe to PsyPerform’s Performance Psychology mailing list, on the right of this page. That’s it. Is that a fair trade? Do you want to understand how to have a life of happiness and achievement in exchange for agreeing to get more information to enable you to have even more happiness and achievement? In exchange for you helping people that you care enough about to improve their lives, too? Data Protection Notice: You will only be sent information that can improve your life, and you can unsubscribe at any time, and since PsyPerform is UK based, you know that we cannot pass on your data without your permission. If you do not wish to receive any further psychology information to improve your life you can buy the resource on Kindle. 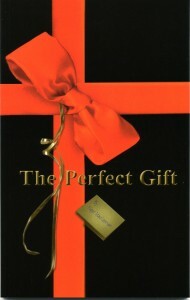 Here is an image of the e-book that contains the psychology of performance and happiness: The Perfect Gift.